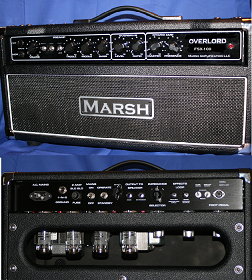 Marsh Amplification Kits and replicas are available for online sale in the Cont. US, Canada and some international countries due to its size and weight. International Customers: All replicas and kits are shipped by Fedex or DHL Economy. Please email us your shipping address so that we may provide a shipping quote. Thank you. Hi there Mike Ive had the bandmaster together for about 2 m ..